General Motors will produce its next-generation electric cars in South Korea, the head of its South Korean unit told Reuters on Thursday. Sergio Rocha, CEO of GM Korea, gave no time frame for the launch of the new vehicles, but said they would be slightly bigger than the Spark small car and use a thoroughly new design, unlike the Spark EV which was based on an existing gasoline engine model. GM will continue working with South Korea's LG Chem Ltd to supply batteries for its second generation of electric vehicles, which will be produced at GM's plant in Bupyeong, near Seoul, he added. "This (next-generation electric) car has a lot of similarities with the products we produce today in Bupyeong," Rocha said in the interview, on the sidelines of the Seoul auto show. GM has had a Cruze EV demo fleet running in Korea since 2010. The fleet uses full-size sedan electric vehicles powered by batteries from LG Chem and propulsion systems (motor/inverter) from LG Electronics. 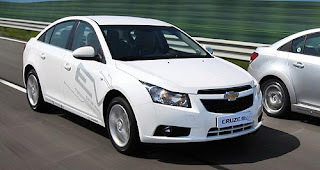 GM’s EV demo fleet in South Korea has consisted of Chevrolet Cruzes and GM Daewoo Lacetti Premieres. GM Korea, which makes more than 40 per cent of GM's Chevrolet-branded vehicles and specialises in developing small cars for the US company, produces the Aveo, Trax, Captiva and Malibu at its Bupyeong plant. GM Chief Executive Dan Akerson said early this month that the US automaker was developing new EVs, including one with a 200-mile range. GM Korea started production of its current generation of Spark EVs in Korea this month for export to the US market and plans to begin selling it in South Korea and Europe in the second half of the year. LG Chem makes the lithium-ion batteries for GM's electric vehicles, which are produced in Korea and the United States.